Previous Article Ambiance 22/10: Spaghetti squash with three-tomato-sauce..and autumn flavour. Next Article Artichokes with figs..and a little bit of Paris. I can feel your pain at the hotness of the peppers. They do look beautiful however, but I agree, something milder next time. That’s a great recipe for stuffing a variety of items for canapes actually. Thanks for sharing it. I have piles of books all over the place too. I can’t resist them. 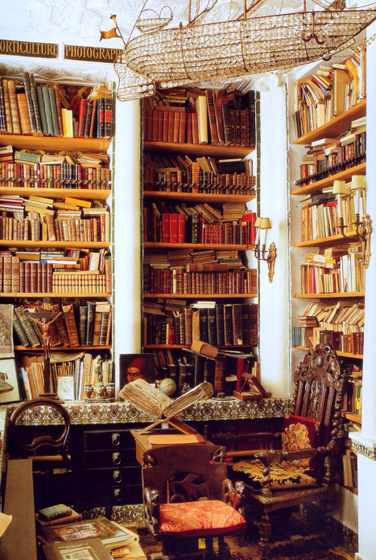 Oh to have a room dedicated just to books. Wouldn’t it be heaven? I laughed out loud at the drinking the yogurts:) I did that once too w/ a pepper recipe.. they had shrimps and bacon in them..Ohlala..Just because I liked the appareil you cooked them in.. I like books too and I love homes w/ books..
Ronelle, the last time and only time I used Habanero peppers, everyone ran out in the garden gasping for breath. My hands were burned from working with them and soaking in milk did little to ease the pain. 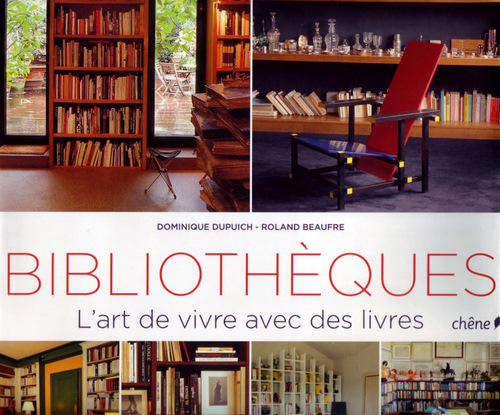 The Art Of Living With Books, what a great title! I am afraid I only have my garden books on the shelves and lots of other books in boxes in the basement. I need to rethink how I display my books. A succulent dish! Rabbit is so flavorful. Wow, that is a collection of books! Ah, Ronelle, I can see that we are from the same lineage….Good food, (good wine, of course), and books. Right now it’s raining outside…I have my tea…and if I could curl up on one of those couches and spend the rest of the day reading, that would be my idea of heaven! Oh – and a small bit of information regarding peppers…… I used to live in New Mexico – the land of the chili pepper. Chilis come in a huge variety of heat – from the kind you describe here – the kind that chars your tongue for days – to something so mild you’d swear you were eating a sweet pepper. But when it comes to dousing the fire of a hot pepper, nothing works better than something sweet. That’s why it’s traditional in New Mexico to serve sopapillas – a kind of fried bread – and honey to accompany your meal. 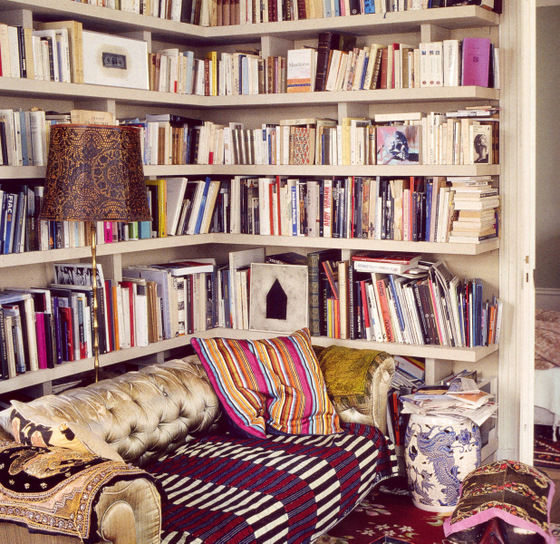 Oh, and I love rooms like that with books. It’s like so much life is around the room and on each page…very romantic! 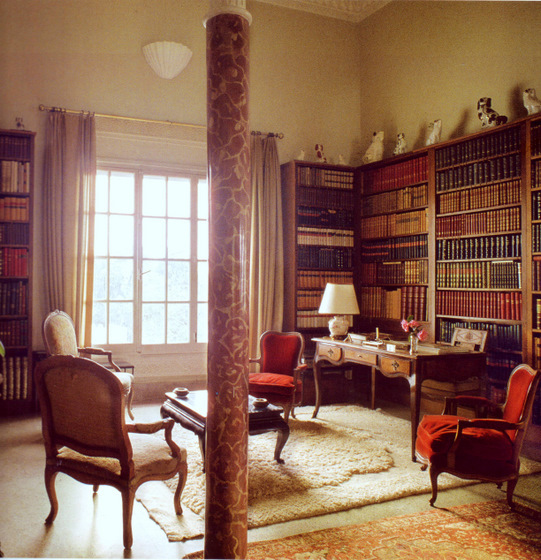 I always wonder about the inner life of people when I enter their home and see…NO BOOKS! Personally, I belong to the school of not only living with books, but thinking of them as one of the best bits of decor and warming of a home. I love the book At Home with Books. Look at it if you get the chance. 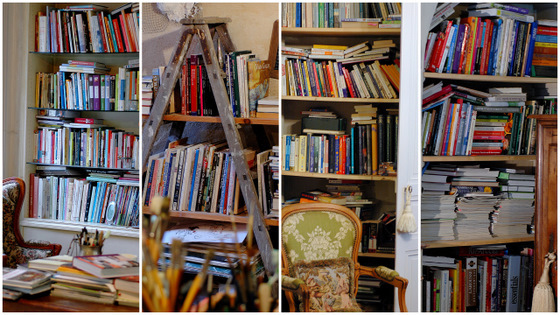 I’ve always dreamed of a library – instead we have piles of books – bookshelves in every bedroom and room of the house and still – piles of the books. The library with the cozy couch just sang to me. And oh – the food. I’ve never stuffed peppers wth anything but pure vegetables or beef – so this would be a lovely change and I still have peppers (after 3 frosts) but probably not as piquant as yours! What is it about a stuffed vegetable that is so welcoming? But it does sound a delicious dish. for the other members to see the wonderful library pictures. Both yours and that book. Good to hear so many people love books – my husband and I have a house full of books; I’m either reading a book/cookbook, or magazine. We accumulate so many we have to sell some to make room for newbies. A good book, tea and a quiet house – Heaven. I stay clear from chillies. 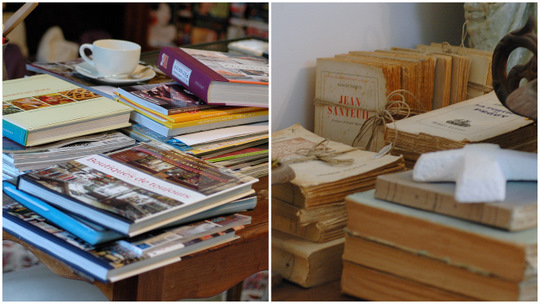 But the dish looks appealing… Loved to have books and books and books around me. Unfortunately had to get rid of many having changed countries twice. And it is an expensive hobby but I love the browse around other people’s ‘libraries’. 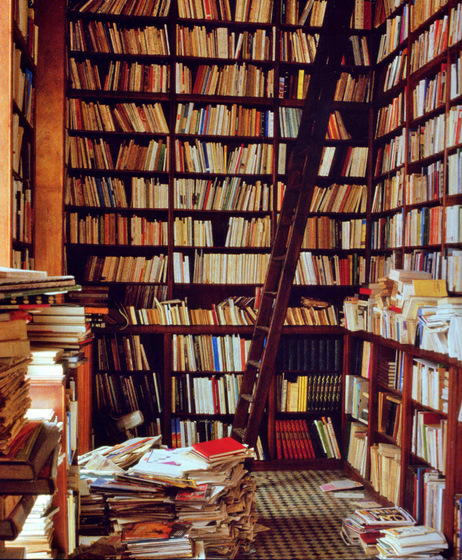 A house without books…hmmmm. I agree with Judy from Texas, A good book, a cuppa and a quiet house – heaven!! The recipe sounds delish but I would have to be careful with the chilies. 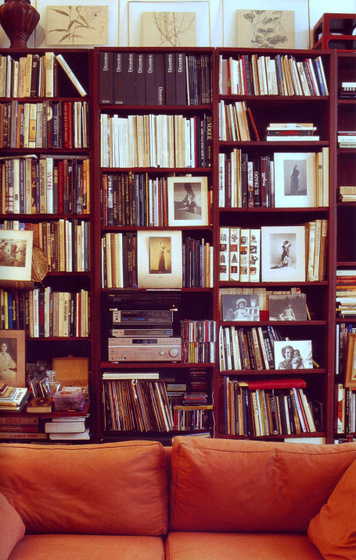 I love your books ~ looks much like my house with books everywhere ~ so homey and comfortable. Mmmmmm, so I think I have decided to look at the photo of your chillies and not to cook them! 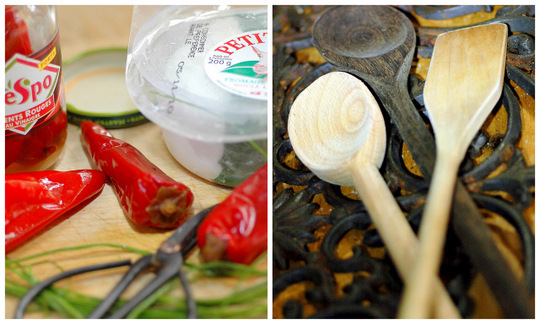 When I work with chillies, I always touch my eyes…Oh viscious circle! Your love of books is very inspiring, even using the open drawers. Nice photos from your book, Ronelle! Libraries are so enchanting, something about them just makes you feel so relaxed and inspired. I love the variety of the ones you displayed. And aside from that, the rabbit-stuffed peppers are so unique! 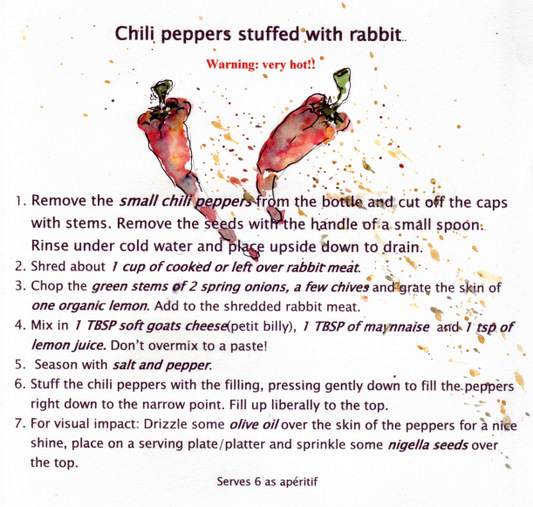 I’ve never thought of stuffing anything with rabbit before, but it certainly sounds divine. I will have to give it a try sometime soon, perhaps when I visit my parents. My father is Greek and they eat a lot of rabbit there, such a great-tasting meat! I’m only just starting to enjoy mildly piquante food!! 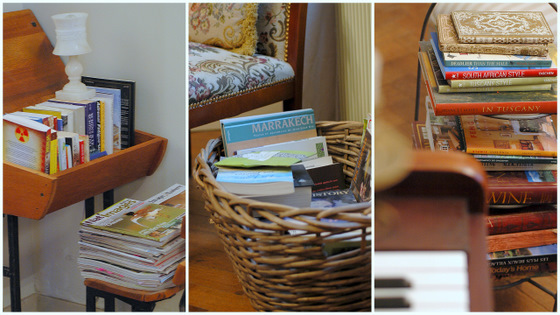 Oh how I could just move into your room with all your wonderful books – it feels like home already!!! Books make me happy and I couldn’t live without them. With the advent of computers, they said digital books would ‘take over’ – not for me. There’s nothing tactile about a digital book now is there. Ronelle…I have not been here in such a long time. Love the way you feel about books. We have a library in our 1853 farmhouse and it is one of my favorite places. 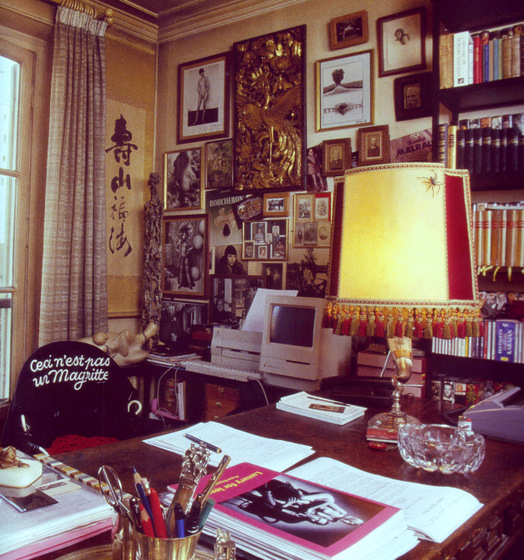 Every inch of the wall space is covered with photographs and art. We need to paint this room and I can’t stand the thought of removing all the books. For some reason I lost all the links on my computer awhile ago and could not remember your address. I found it on Ingrid’s blog. Boy did you two have a great time. I have enjoyed all of her photographs recording your adventures! 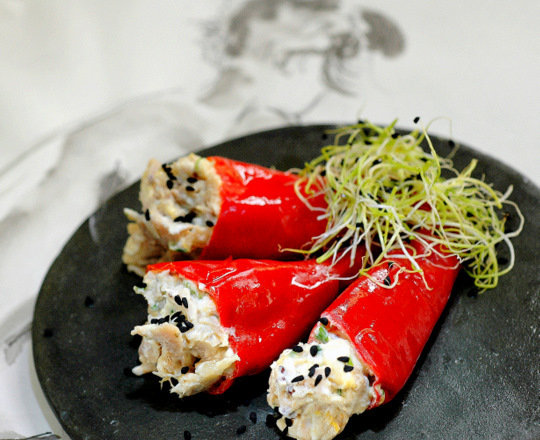 What lovely & appetizing looking rabbit stuffed hot peppers!!! Oh look at you and your new look!! Pragtig! Thank you to all for your visit and comment…truly appreciated! !